Pierre: “It’s the end of the year and that means we have the Top 10 lists of everything. Since we are the very best dog news on the Bayou, I thought that it was appropriate to name America’s favorite puppies of 2015. 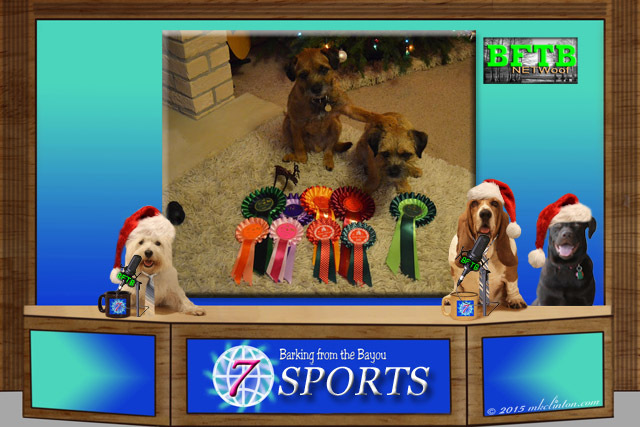 We are featuring the Top 5 today. I find it very strange that the magnificent White West Highland Terrier is not on this short list. I think there might be some mistakes with the numbers, but never the less, here is the list. Pierre: “Most dogs don’t attack unless they are provoked. Unfortunately, there is a new flu that is attacking dogs. The H3N2 has made its way to Texas from the Midwest. It could have been spread by a dog from the Chicago area being boarded in the Round Rock, Texas area. The symptoms are similar to kennel cough. Dogs have a heavy cough, lack of appetite, a fever and are very tired. This flu was only discovered a week ago and four dogs have already tested positive. It is important to keep your dogs away from any others that show signs of an illness. Be especially careful at doggie daycares and parks. Do not be left out in the cold! Enter today for your chance to win $250 just in time for Christmas!Visit all of these blogs to increase your odds! Cascadian Nomads, Dolly the Doxie, Heartprints Pets, It’s Dog or Nothing, My GBGV Life, My Rotten Dogs, Tenacious Little Terrier, Wag ‘N Woof Pets and Your Designer Dog. 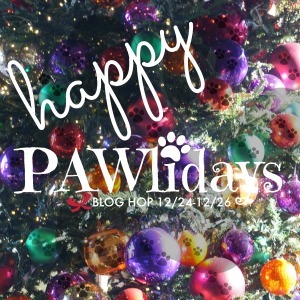 Join us on December 24 – 26 for Happy Pawlidays FUN Blog Hop by sharing your dog’s Pawlidays photos. 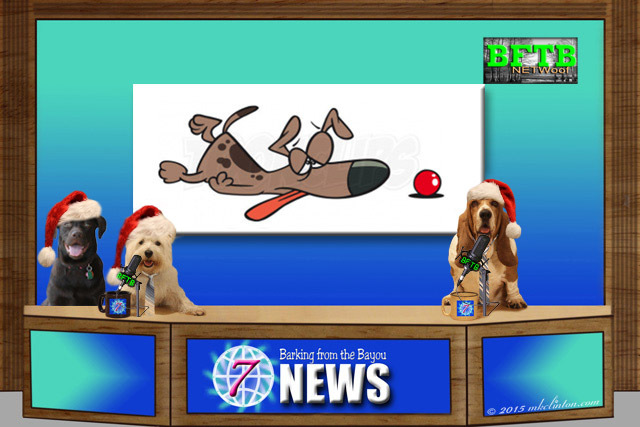 The Pawlidays hop is hosted by Sugar the Golden Retriever along with blog pals Oz the Terrier, Murphy & Stanley, Dory’s Backyard and us! Aren't Earl and Ethel amazing! Bailie and I were both really sick with a flu infection last month. Our vet said it had been going around. No fun, but we got over it in a few days. The bummer is you have to stay away from other dogs for two weeks, which meant no playing with friends or going to classes. Have a great Christmas week! The Goldens always seem to come out on top of the list. Of course, they are adorable and lovely so we understand why. That flu is scary stuff! We thought we got rid of it, but just heard a report that it has resurfaced in parts of the Chicago area. Yuck. The Golden always seems to make the top 1 or 2 most wanted pup, they really are great dogs. I've been hearing about this new flu going around, it's very scary. We'll be traveling cross country soon and we've got to be extra careful. Also, no day camp or dog park for awhile! It is kind of sad in a way - most of these lists are a reflection of which ever breeds are most popular with celebrities - we have noticed French bulldogs are very popular amongst celebs at the moment - the sad thing is they change their minds on a whim and what happens to all the pups that are no longer in favor? Thank you for featuring Earl and Ethel! I am SO proud of them and their achievements! Ha, we heard NO ONE gets a white one this year!!! Scrooged again!! Oh no, we hope they get that flu contained so no other pups get sick! We can't believe we are not going to have a White Christmas here in New England...it's just crazy! Well, that's OK, we'll still have fun no matter the weather! Plott Hounds should be in the top!! We are not going to have any snow and we are all perfectly ok with it. Thanks for the news recap. I had not heard of a new flu. I just read something about a new vaccine being available. I thought it was for that strain, but you say it is a new one? Hate to hear that flu is traveling, but thanks for the heads up guys. Way to go Earl and Ethel! Have a very Merry Christmas! Congrats to Earl and Ethel! 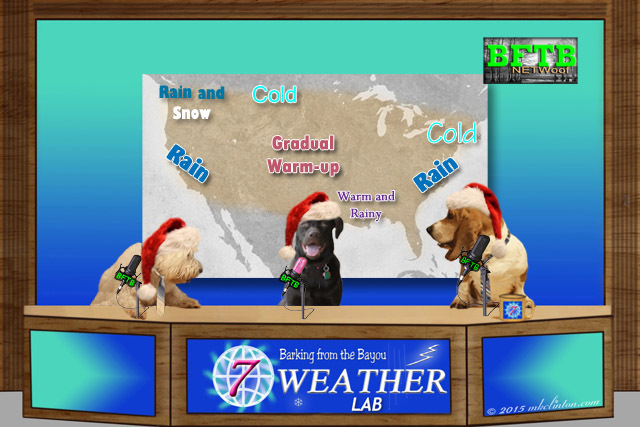 We're not going to have a White Christmas either... just a very soggy one! Those pups sure are talented!